Here at Droid Life, we love trivia. We love trivia so much that we host an Android trivia game at the end of every podcast we do and we know for a fact that many of you have benefited greatly from this. Point being, trivia is awesome, but you know what else is awesome? Trivia Crack, one of my all time favorite mobile games. Announced this morning, Trivia Live is coming to Trivia Crack, where players have a chance to win real cash prizes. Much like those other live trivia gameshows, players will be asked 12 questions in total, with 10 seconds to answer each question. If you miss a question, you’re eliminated. Answer all 12 correctly, then you’ll split the cash pot with all other players who completed the task. 12 questions in total, 10 seconds to answer each question. To start, winners will split the $500 pot to win. If you answer correctly under the time limit, you go to the next question. If you fail, you’ll be eliminated, but you’ll remain as a “spectator” until the final results. Anyone who answers the 12 questions correctly will share the final prize. 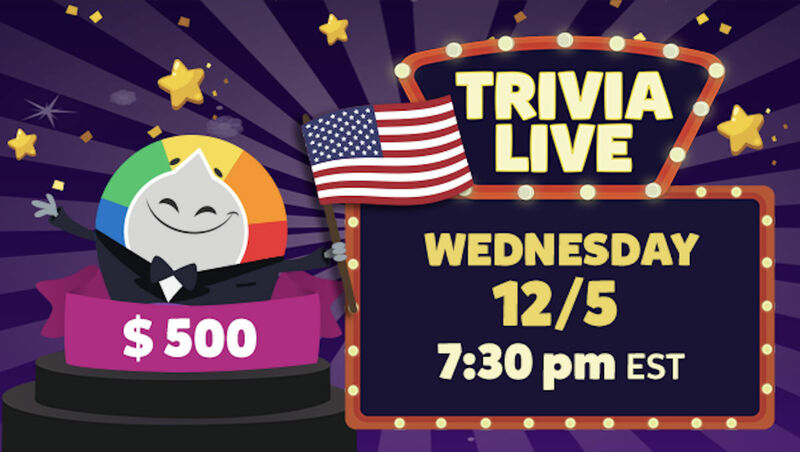 It appears Trivia Live will take place daily, with the first prize being $500 cash. That’s not a lot of money, especially when you consider Trivia Crack has been downloaded over 100 million times on Android alone (and this is open to iOS and Android), but free money is free money and no one should ever complain about that. If you’re ready to potentially win some cash, follow the link below to get the app installed on your device, then be ready at 7:30pm ET (4:30PM) PT for the live event to start.